That turned out to be excellent advice for work, for parenting and for all of my relationships. If we keep the intention in mind, that allows us to focus on the goal and not worry about distractions or ego. 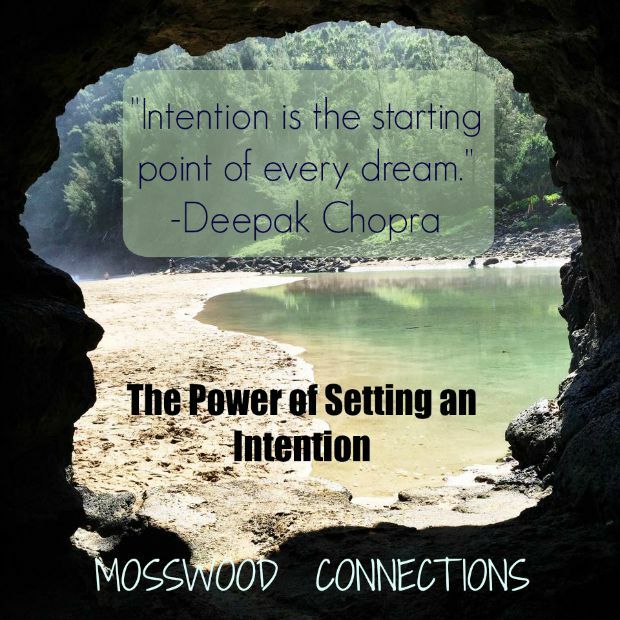 The power of setting an intention is a useful tool. Use the power of intention when working with children who have special needs, when parenting, at work and in your relationships. It took a while before the power of intention came more naturally to me. But over time, I learned that by taking a deep breath, being clear about what I want, what my intention is, I find that I can let go of being right or trying to control everything. Once I do that I actually have more power and control in reaching my goal. At work, that means that I keep my eye on the prize. 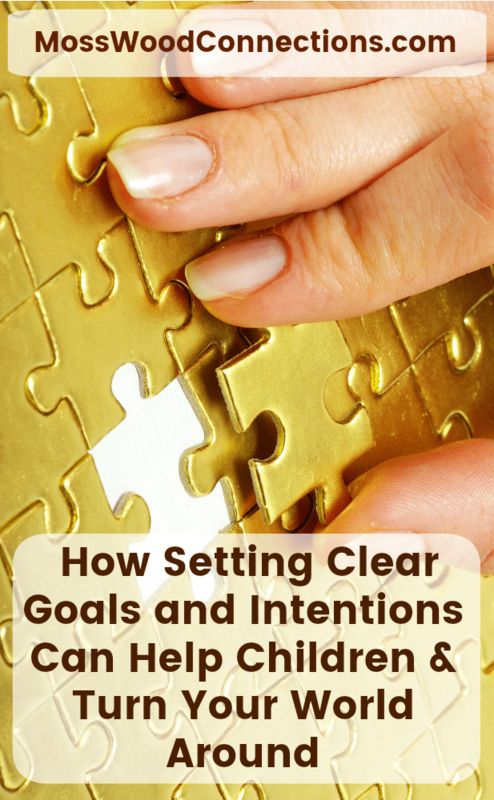 If I am working on reading comprehension with a child who has ADHD, then my clear intention is to give strategies to help that child understand and retain what they are reading. If the child wants to read in a silly voice or stand up while they read or have a fidget in one hand while they tap their foot, that’s okay with me as long as we are making progress with reading comprehension. We will focus on sitting still another time. If I am working on handwriting then that is all we are doing. I will make it as fun and as easy as I possibly can. It is not important that the child writes the grandest sentence, we are focusing on letter formation. After they master the basic skill of letter formation then it will be time to work on crafting that grand sentence. If a child needs to learn to sit still at a table, then I am not going to combine sitting still with an activity that they do not prefer, I will try to entice them to sit still with something that they enjoy. There will be plenty of time for them to sit still with a nonpreferred activity in the future. Having an intention has been helpful with parenting, too. If I want my child to clean her room every Saturday I can get her into a good habit of cleaning by turning it into a game or hanging out with her while she cleans. There is no need to nag or get frustrated when she resists cleaning. Once the habit has been developed then the expectation is set and a new intention, like cleaning independently, (and without complaining) is formed. Keeping focused on my intention allows me to let go of the small stuff. It helps me to focus on the goal without getting distracted or upset when issues come up. Haven’t we all met that difficult person who we just want to scream at? Well, if my intention is to let off steam that’s a grand way to act. However, if I want something from that person then it may be a good idea to just let the irritation go or let it out in another way later. But having an intention is just that, an intention. Be ready to change your intention when necessary. Today was a good example of that. I had prepared a lesson for one of the kids with whom I work. I had planned that we would read, improve his reading comprehension, and do some vocabulary games. The intention being improving his reading skills. When I arrived at his house he greeted me with a paper that said “My Vacation”. I dropped my intention and we spent an hour writing and editing a paper about his vacation. He wrote more, edited more independently, and added in more details than ever before. By dropping my intention and adopting his we were far more successful than if I had dogmatically insisted on doing what I had initially planned. The power of intention is a really useful tool with husbands, too. If I want that garbage taken out it is more likely to happen promptly if I approach it with sweetness rather than the irritation that wants to bubble out. My intention is not to win an argument or soothe my irritation I just want the stinky garbage taken out. Have you set a clear intention today?